The following video lesson shows you how to build or construct a piano chord using a few formulas. You no longer need to memorize the structure of each piano chord. 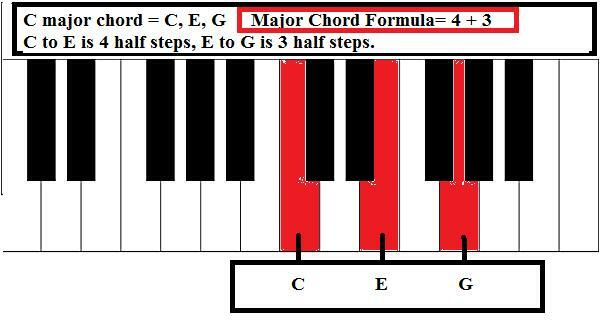 All you need to know is the formula associated with each type of chords. We will discuss major chord, minor chord, diminished chord and augmented chord in this lesson. How to build a piano chord? Major and minor chords are the two most important chords. It's possible to play many popular tunes using only major and minor chords. Diminished and augmented chords are merely the "salt" and "pepper" of music. They're used for passing from one major or minor chord to another. They're also known as the passing chords. C to Db is a semitone. D to Eb is also a semitone. Major chord can also be called the pleasant or happy chord. To build a C major chord on a piano, you will use the C note, the E note and the G note. C to E note is 4 half steps/semitones, E to G note is 3 half steps/semitones. 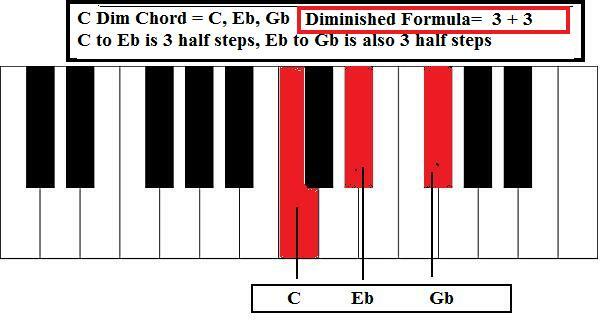 This formula is the opposite of a major chord's. Using the formula, we can construct/form any minor chord easily. The minor chord can be called the "moody" chord or the sad chord. 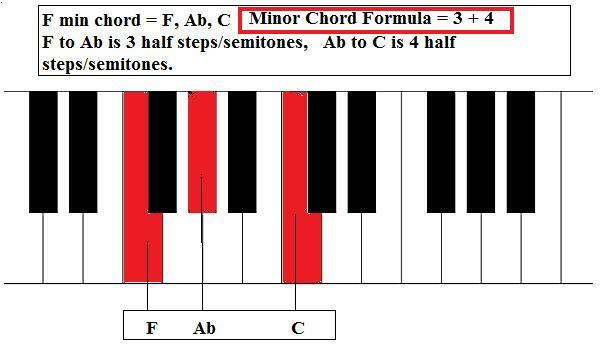 F minor chord = F + Ab (3 semitones from F) + C (4 semitones from Ab). As mentioned, this chord is used sparingly. The main reason is because this chord sounds unstable. It's transitional and needs to be resolved to a major/minor chord after it's used. The diminished chord can be called the "suspense" chord. 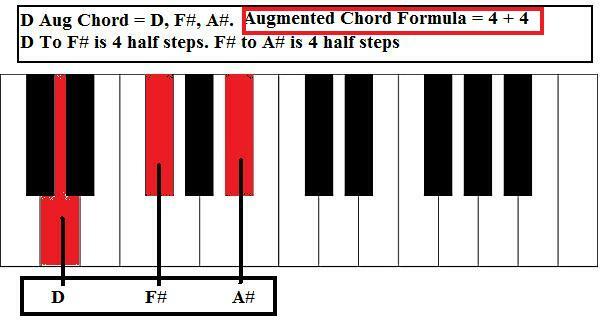 The augmented chord is similar to the diminished chord. It serves as a passing chord. When used appropriately, it will make the piano music sounds spectacular. I suggest you try out these chords and hear for yourself the different flavors associated with each chord. After some testing you will soon be able to identify each type of chords you come across. We highly recommend you sign up for the free newsletters (scroll up to the left column and enter your first name and email address and click Sign Me Up). Find out the best way to spice up any song using one little known secret-"suspended chord". Discover how to make your left hand come alive with my proven techniques The Ballad 10th. You see me arranging the Greensleeves using this method and you catch on in a flash. 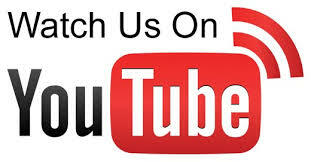 Top 5 ways to improve your piano playing, and many more. 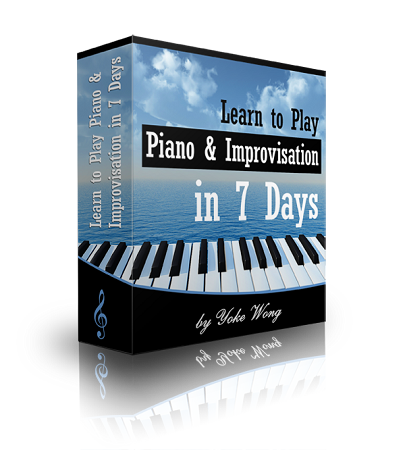 Yoke Wong highly recommend the Learn to Play Piano & Improvisation in 7 Days piano course.